Here's a round-up of the various coverage--news, commentary, arts, and tributes--of Pope Benedict XVI's declaration St. Hildegard of Bingen as a Doctor of the Church on Sunday, October 7. I have also corralled at the bottom all of the audiences, speeches, etc. 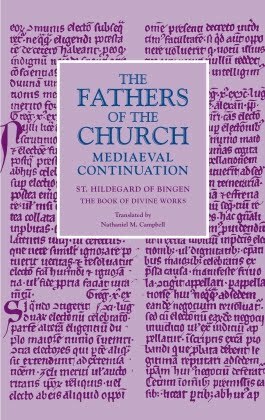 in which Pope Benedict has made major mention of St. Hildegard. Homily for the Opening Mass of the Synod of Bishops and the Declaration of St. John of Avila and St. Hildegard of Bingen as Doctors of the Church, October 7, 2012. Apostolic Letter Proclaiming St. Hildegard of Bingen a Doctor of the Universal Church, October 7, 2012. Thank you so much, Nathaniel. I am enjoying perusing these sites. I appreciate your effort to make them all available in one place. Thanks! I'm linking to this page from my blog.